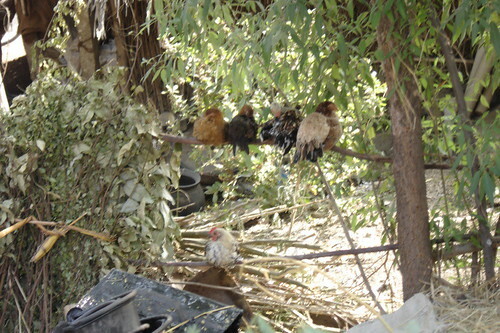 Chickens Roosting, originally uploaded by jrambow. Here are some chickens we saw roosting alongside the road near Hampi last month. They all seemed pretty happy there -- I think there were a good amount of chicks on the ground below.